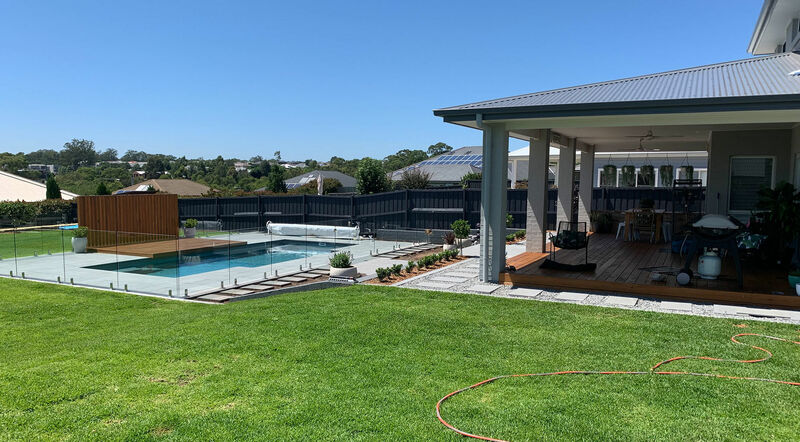 Gardencraft provides complete landscape design and construction services for garden contexts, spanning from small domestic projects through to large building sites. Whether your project is creating a suburban oasis or maximising the potential of a balcony greenery in the city, building an entire outdoor experience or just a single element, Gardencraft can help you nail your vision. We combine a passion for creativity with an unerring attention to detail, delivering exceptional results to all our customers across St George, Sutherland Shire and Wollongong. As we’ve worked hard to establish our name in the industry, we bring our commitment to workmanship of the highest standards to every project we undertake. This ensures our results meet your expectations – each and every time. "Darren and the guys worked tirelessly through a wet spell to complete the front yard to our design within budget and on time. Everyone who has called visited has remarked on how good the yard looks. I'd recommend them without hesitation and am probably going to get them to do some more work very soon." We engaged Gardencraft to do a full landscape design and construction in 2018. The job was a raw canvas at Bingara Gorge, Wilton, which was transformed into and outdoor area, which blew our mind. The job consisted of 30 tonne cut and removal, full drainage, provisional lighting and sprinklers, sandstone and brick retaining walls, concreting, paving and tiling, edging, decking, turf, full planting, fencing,fire pit, side gates and ongoing support. With such a major project, Darren and his teams input with aspects of the job, which are unseen such as drainage, soil preparation and construction levels will be invaluable in the future. I endorse Gardencraft Landscaping to any future clients and our job is open for inspection or contactable on 0423117962. We work with builders and homeowners throughout the Sutherland Shire, St George, the Eastern Suburbs and Wollongong. Moreover, our suite of services spans across an extensive range of solutions, including everything from maintenance and care of your outdoor areas through to complete design and construction of BBQ areas, patios, decks, pergolas, pool fencing, retaining walls and paving. Plus, we can design and implement irrigation systems and install synthetic turf where required – all at a cost that fits your brief. We have the complete garden landscaping arsenal under our belts, allowing us to help you achieve your vision from start to finish. We have more than 35 years of combined experience, which enables us to design and execute projects of the highest standards. Our team works closely with you to understand your vision and create a plan that turns it into a reality, while staying within your budget and time frame. Additionally, our professionals are dedicated to customer satisfaction and strive for total professionalism in every job we undertake. Got a vision in mind but aren’t sure how to get started or what approach to take? Discover more about what Gardencraft can do for you by getting in touch with out team. We would be happy to discuss your concept and provide an obligation-free quote to suit your brief. Talk to Darren by calling 0413 413 847 or Andrew by calling 0410 323 800 now.